Made for a contest. ^^"
Erm, the idea is that iKon is a music player, and also sort-of like a music box with Rukia instead of a ballerina on top. Lyrics are from My Pace. I'm still kind of a n00b at vectoring so forgive me for any booboos. >_< Was planning on adding a X'mas tree in the background with little chibi Bleach character-ornaments but X'mas is over, and I don't have enough time to do that, so maybe next time. Describes their relationship so well. 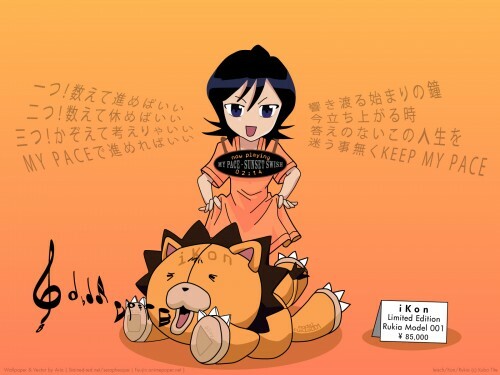 Kon is a little masochist XD LOL great wall!